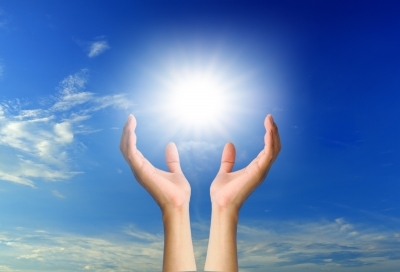 Light therapy has proven quite effective in treating Seasonal Affective Disorder (S.A.D. ), and studies have indicated that it may also be beneficial for some people who suffer from non-seasonal depression. While those who suffer from S.A.D. tend to experience depressive symptoms only in the darker months of the year, people with non-seasonal depression are often depressed year-round, but their symptoms may fluctuate with the seasons in some cases. People with non-seasonal depression that worsens during the gloomier months of the year are more likely to respond to light therapy than those whose depression remains relatively stable year-round. 71% of the brighter light group experienced a 50% or greater reduction in depression symptoms, compared to 39% of the placebo group. 42% of the brighter light group achieved complete remission from their depression, compared to just 19% of the placebo group. Even after just one week of treatment, many subjects achieved significant reductions in depression symptoms. There is strong evidence from a number of studies indicating that many people with non-seasonal unipolar depression respond to light therapy. Overall, the effectiveness of light therapy for depression depends on a number of things, including the type of depression, the brightness of the light, the duration of light exposure, and other factors. Anxiety also plays a role. Those who suffer from psychic anxiety (psychological distress and agitation) are more likely to benefit than those who suffer from somatic anxiety (physical symptoms such as panic attacks). However, because physical anxiety symptoms often occur as a result of depression, some people with physical anxiety may be helped by light therapy, particularly if their symptoms tend to worsen during the winter months. There has been very little research conducted into the efficacy of light therapy for treating bipolar disorder. In one study of bipolar subjects, morning light therapy induced mixed states—a combination of mania and depression—in some subjects. Switching to midday exposure created better outcomes for most subjects (Sit et al., 2007). While this study used a small subject pool, it does suggest that those who suffer from bipolar disorder may be particularly sensitive to early-morning light therapy, and that while light therapy shows some promise for treating the depressive side of bipolar disorder, caution should be exercised when using it for this type of depression. Studies have explored the efficacy of light therapy for treating both antepartum depression, which occurs during pregnancy, and postpartum depression, which occurs after giving birth. Research conducted thus far suggests that some women who suffer from antepartum or postpartum depression may benefit from light therapy (Terman & Terman, 2005). Minor side effects that may occur with the use of a light box or light visor for light therapy include eyestrain, headaches, insomnia, and jitteriness. These can usually be eliminated by reducing exposure times or sitting further away from the light box, and may also go away on their own. Insomnia can often be prevented by using the light box early in the day rather than in the evening. Though less common, mania or hypomania may occur. This side effect is more likely when using light therapy to treat non-seasonal depression than S.A.D. Additionally, there may be adverse effects for people who have retinal disorders or abnormalities, certain skin conditions, or are taking photosensitizing medications or herbs such as St. John’s Wort. For more health articles, see the main Mind/Body Health page. This article is provided for informational purposes only and is not intended as a substitute for medical advice. Those who have mental or physical health concerns should consult a medical professional. Even, C., Schroder, C.M. ; Friedman, S.; & Rouillon, F. (2008). “Efficacy of Light Therapy in Nonseasonal Depression: A Systematic Review.” Journal of Affective Disorders, 108(1/2), 11-23. Golden, R.N. et al. (2005). “The Efficacy of Light Therapy in the Treatment of Mood Disorders: A Review and Meta-Analysis of the Evidence.” American Journal of Psychiatry, 162(4), 656-662. Martiny, K.; Lunde, M.; Unden, M.; Dam, H.; & Bech, P. (2005). “Adjunctive Bright Light in Non-Seasonal Major Depression: Results from Clinician-Rated Depression Scales.” Acta Psychiatrica Scandinavica, 112(2), 117-125. McEnany, G.W., & Lee, K.A. (2005). “Effects of Light Therapy on Sleep, Mood, and Temperature in Women with Nonseasonal Major Depression.” Issues in Mental Health Nursing, 26(7), 781-794. Sit, D.; Wisner, K.L. ; Hanusa, B.H. ; Stull, S.; & Terman, M. (2007). “Light Therapy for Bipolar Disorder: A Case Series in Women.” Bipolar Disorders, 9(8), 918-927. Terman, M., & Terman, J.S. (2005). “Light Therapy for Seasonal and Nonseasonal Depression: Efficacy, Protocol, Safety, and Side Effects.” Center for Environmental Therapeutics, Cet.org. University of Washington Counseling Center. (n.d.). “Light Therapy for S.A.D.” Depts.Washington.edu/counsels/services/ sad.html.